Godzilla Against Mechagodzilla (2002) – SKREEONK! 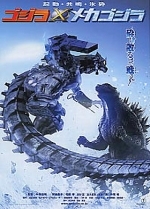 This film was released in Japan as (in Romanji) Gojira tai Mekagojira (translated into English as Godzilla x Mechagodzilla) on December 15, 2002. It grossed $16,000,000 (approx. USD) there, and was considered a box office success. The film’s home video rights for North America were picked up by Sony, who released the film on home video in 2004 as Godzilla Against Mechagodzilla, which I will refer to it as in this review. This Sony DVD is also what I will be using to watch the film. Because of the atrocious English dubbing, I will be watching this movie in Japanese with English subtitles. First, I will start with the acting. 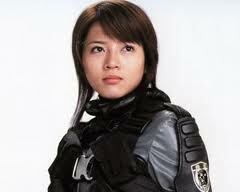 Yumiko Shaku stars as the main character Akane Yashiro. She does a good job playing her loner recluse character, often having an absent look which is fitting for the role. Shin Takuma stars as the bumbling scientist Tokumitsu Yuhara. He does fairly well with the material he is given, although his “surprised look” he gives when approached by the government isn’t very convincing. The child actor actually who plays Tokumitsu’s daughter is actually quite good here (considering she is a child actor) and conveys emotion convincingly. Ko Takasugi’s performance as the lieutenant is also of note, his stern, deep voice adds a lot to the character, despite the character itself being quite flat. Yusuke Tomoi’s character, Hayama, isn’t exactly a stand out performance, but he gets the job done. Akira Nakao also does a very good job as the prime minister, and I’m glad that he appears in the sequel. Of note to fans of the Showa series, Kumi Mizuno appears in a cameo as the prime minister who get’s replaced by Akira Nakao’s character. She does a very memorable performance, considering her character only appears in three scenes. All the other actors do fine with the roles given. Overall, the acting is good, but it isn’t exactly awards worthy either. Perhaps that has do with the how well the characters are developed, but I will touch on that issue later. Now, let’s talk about the script penned by Wataru Mimura. Now, like all the millennium films up to this point, this film ignores all previous entries in the series, only being a sequel to the original Gojira. However, this time they mix it up a bit. A few other Toho kaiju films are part of the timeline. Mothra and War of the Gargantuas are also part of the film’s timeline. While Mothra’s involvement is insignificant until the sequel, it’s explained that the Maser tanks we see in the beginning of the movie were invented in War of the Gargantuas. It’s also explained that ever since Godzilla first attacked, that Japan has seemed cursed since giant monsters keep on attacking. I actually like that they acknowledge this, because a lot of the criticisms of Kaiju films is how monsters always seem to be created near Japan and always attack Japan. Anyway, the script sets up a nice chronology, especially for people who have seen the other films. However, I think these sort of references can actually be detrimental, especially Godzilla’s death. You see, this was actually the first Godzilla movie I ever saw (I rented this movie at Blockbuster in 2004). Not having seen any other Godzilla film, I was confused. “Godzilla died!? !” I thought. “And there is another Godzilla!? !” This was overwhelming for me at first, and I think that this concept might confuse some non-fans who watch this movie. Now, I also have some problem with the film’s premise. It feels like the tone of this movie is fairly realistic. However, Japan’s first idea to defend themselves upon learning that Godzilla is immune to the Masers is to build a bio-robot around the bones of the original Godzilla. It sounds ridiculous. And don’t give me this “Nothing is realistic in these movies”. I can accept the idea of a giant thermonuclear lizard. I can accept a giant bio-robot. What I can’t accept is that this was the JSDF’s first idea to stop Godzilla. Especially considering the only thing that Mechagodzilla had that would kill Godzilla was the absolute-zero cannon. 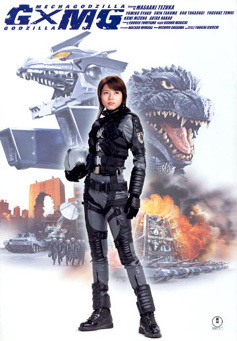 How about the Japanese government just builds the absolute-zero cannon, and not Mechagodzilla? I know “Freezing laser used against Godzilla” is not exactly as exciting “Robot version of Godzilla fights Godzilla”, but this still bothers me. And maybe if the film didn’t seem like it was trying to be a serious science-fiction film, it wouldn’t seem so insane and ridiculous for Japan to do this after their first encounter with Godzilla. I also have some issues with the films pacing. After Yuhara decides to take the job (after never seeing him say yes), we immediately jump to 1 month in the future, without seeing the characters settle into their new home or anything. I find it sort of jarring. As well, there are issues with the characters. Akane is our main character. She’s the one (we’re supposed to be) rooting for. She’s the one that fights Godzilla while inside Kiryu, meaning that her life is in danger and we should care that she might die. However, we don’t. At least I don’t. You see, it’s not that Akane is bland or anything. She’s a determined loner recluse that doesn’t have much value in her life. However, we don’t get to really know about her much. She feels bad about causing that guy’s death in the beginning. I find it hard to care for her. She doesn’t really show any emotion other than a blank stare. You know, it might be better if they showed like, Akane writing in her dairy with voice over narration. So we could know more about her motives. We could know how she feels, because her character is very adept at hiding her emotions. As well, she never really seems to develop as a character. Well, I guess she kind of did. She became more confident, I think. And she might have learned to let go of that death, I don’t know. My main point is, it’s generally hard to tell how Akane is feeling, and thus it’s hard for me to connect with her emotionally. As for Tokumitsu, are other main character, I actually like him. He’s this bumbling scientist, and unlike Akane I can tell what he’s feeling. How he bumbles his way trying to get with Akane is endearing. Hey, who hasn’t had girl troubles? If this had been a Hollywood movie, Akane and Tokumitsu would have gotten together at the end. Luckily, they didn’t, and it’s nice to see. Hell, Tokumitsu and Akane didn’t even make that much of connection. She barely even talked to him. Oh wait, never mind, there’s a post-credit scene where they say that they will go to dinner together. Now that I think about it, perhaps it would have been better for Akane and Tokumitsu to have a romance before the fight against Godzilla. While there is sort of a creepy age difference, I think it would have worked better because it would add more tension. Tokumitsu fearing for his lover Akane, as she risks her life for the greater good of Japan…it would have added a lot more excitement. However, you might think it would be out of character for Akane to date Tokumitsu, but Akane could develop as a character as the story went on. She could start to be more social once she realized that people accepted her for saving Hayama’s life. She starts to be outgoing, realize that she could be attracted to Tokumitsu. Go on a date with him. It could work. The only other character there is that’s worth talking about is Tokumitsu’s daughter. She is an innocent child who is also idealistic about life due to her mother’s death. She’s actually pulled off pretty well, considering she’s kind of a minor character. She’s more or less there to just talks about the film’s theme, which is the value of life. I also like the idea of the original Godzilla’s soul being in Kiryu. I liked the idea of Kiryu going haywire. However, it wasn’t really executed in the film very well. Maybe it would have been better to have the possibility that Kiryu go haywire during the fight with Godzilla? Knowing that any second Mechagodzilla could turn against the city he is fighting to protect, with Tokumitsu’s love interest inside risking her life…it would really amp up the tension. I also want to talk about one more thing before I move on from the story aspect of this film. I’ve heard people complain about this film, stating that it focuses too much on Mechagodzilla and that Godzilla is only a plot device. I will actually defend this movie this time, saying that how many times has Godzilla been used as a plot device? Stop and think about it. This isn’t the first time, and seeing as Godzilla is actually the main conflict in the story, he’s like the antagonist, he is not a plot device. And to people complaining about this movie focusing too much on Mechagodzilla, I have this question. How much can a movie focus on Godzilla, before it gets stale? There are tons of Godzilla movies where he isn’t the main focus, so I think it’s fine if this movie doesn’t focus on him so much either. Anyway, the story has some good elements, but doesn’t quite execute as well as it should have. The cinematography in this film is actually quite good. The camera moves in a variety of angles, which can convey anything from the upward angle for Kiryu implying power; to personal shots where we see Tokumitsu’s daughter huddled up, looking up at Kiryu. Basically, the cinematography in this film is good is because it gives us a sense of what is happening and even to some extent what the character’s are feeling. This movie also succeeds in terms of sound design. I love the noise when Godzilla is about to fire his ray. Although it has its faults, like the noise the Shirasagi makes when it fires its guns. However, it’s mostly very good and I can only imagine how great it would be to watch this movie in surround sound. As for the lighting, it’s fairly, well…general. Lighting helps define what a character is going through. And, this isn’t ever really used to great effect in the human scenes. I think some dark lighting, where we only saw Akane’s eyes as she sees one of her fellow JSDF soldiers being killed, would have been a lot better than what we got. We got just sort of normal lighting. And this is the way the lighting is in all of the human scenes. As for the lighting in the monster scenes, it’s done to great effect in the opening scene in the rain. The lighting was one of the reasons that scene was so badass, and genuinely made the scene exciting. 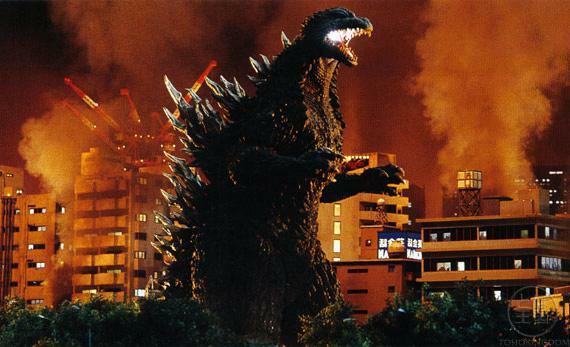 Lighting is also put to good effect when Godzilla attack’s the city at the end of the film. The fire illuminating in red as Godzilla continues his rampage. The lighting in the monster scenes was handled much better than the human scenes. The editing in this film also feels right. Being rhythmic, as well as emotionally engaging the viewer as much as the editor could. The editing in this movie generally just feels right, and it never feels disjointed or wrong. I do have on minor complaint about the film’s editing, however. That “showdown” part, where the camera pans around Mechagodzilla and Godzilla, and then there is a quick close up on Godzilla’s face, then back to the pan-around? This is one of the multiple parts of the fight that is silly, and while I’m not saying silly fights in a kaiju movie are bad, when a movie tries to be serious and then reverts to silly fighting, well it causes a clash in the tone. Anyway, other than that minor complaint, the editing is a success. In regards to the film’s score, it’s a total success. Michiru Oshima is the modern Akira Ifukbe, I swear. The music is such an earworm, and fits the film perfectly. The triumphant themes are quite memorable, and the music is also used to great effect in the human scenes, like when Tokumitsu’s daughter is staring up at Kiryu. I would say that this film’s score is easily the best thing about this movie. The set design is also a good thing about this movie, although one hardly notices it. All the sets feel “real”, and it is really a job well done. The entire art direction in this movie is very good, sort of going for a “modern future” look. It’s pulled off quite well, and this movies art design is nothing to complain about. The special effects I feel are really a mixed bag. The first scene looked good, but then we have certain parts that look poor, like when Godzilla is standing there not reacting when getting hit by missiles on his first encounter with Kiryu. It really is, well, jarring to look at. Godzilla should be roaring. He should be doing something other than standing still and not doing anything. That’s why there is an actor inside that suit, so that he can move. Also, I’d like to talk about how silly some parts of the final fight actually are, and how that clashes with the film’s serious tone. You see, it’s hard to take this fight seriously when Kiryu does stuff like throw Godzilla by his tail. I know that doesn’t sound bad, but actually go back and watch that scene. It just looks stupid. Or how about that dumb blur that happens when Kiryu sometimes dodges something? Or how about when Kiryu jumps hundreds of feet up in the air over Godzilla? Did we ever even learn that Kiryu can jump that high? It seems like it would be pretty significant to know. Anyway, my point is, in a serious movie you can’t just put a bunch of silly stuff in the fight scene. You just can’t do it without confusing audience. Now let’s talk about the models. The model maser tanks look great and look like actual vehicles. The miniature trees look good as well, and I like the reference to War of the Gargantuas in the opening scene. The models used for Kiryu in the hangar also look really great, and those shots are also a spectacular success. Generally, the models look good. There are a few exceptions (like the model cars they use in city scenes), but I find that the model cars are a problem in all of Toho’s recent movies. Why? Well, they are too small to have finite detail, and thus they end up looking like toys. It automatically calls fakery to the shot when they are used. Also, certain shots make the models seem fake when the camera pans around and you can tell that it is a sound stage, not a city, the monsters are fighting in. Godzilla is played by Tsutomu Kitagawa, and Mechagodzilla is played by Hirofumi Ishigaki. I felt that the monsters moved well when they were shot in high speed, thus making them look like they are moving slower. However, the scenes where they don’t use high speed photography look jarring in contrast to the scenes that do use the high speed photography. 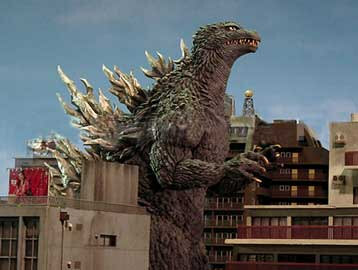 Also, I would also like to point to when Godzilla just stands there and does nothing when being shot with missiles. Maybe that wasn’t Kitagawa’s fault, but the person who was directing him should have told him to flail his arms and to move a little. The person operating Godzilla’s mouth should have been opening it. In short, there was no excuse for the execution in this shot. As for Godzilla’s redesign, I really like it. It’s reminiscent of the designs for Godzilla 2000 and Godzilla vs. Megaguirus. However, they changed his atomic breath from red to blue, made him his traditional charcoal color rather than green, and made his dorsal plates a traditional white instead of purple. I think the design looks great, and it looks better than the designs the suit is reminiscent of. The only complaint is that the suit looks a little, rubbery, sometimes, but it generally looks great. 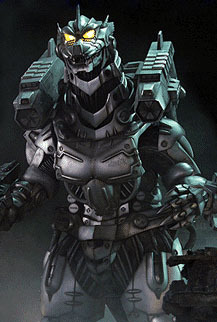 As for Kiryu, I am all for this redesign of Mechagodzilla. It blows the 90’s Mechagodzilla out of the water. It looks like it could be a real robot, but it also looks like Mechagodzilla. I can’t think of any complaints, the design is a success. Now, seeing as this is a millennium Godzilla movie, they also use CGI. Godzilla’s breath, the various masers, and when buildings get shot at by the absolute-zero cannon all look great. What doesn’t look great is the actual “orb” that builds up from the absolute-zero before it gets shot. The Shirasagi also generally look good, other than a few shots. The CGI missiles also look good. A few of the CGI Kiryu shots look good, but some also look bad. Anyway, I would say that the CGI is a mixed bag. Before I sum up this review in one final paragraph, I want to talk about one last thing, the subtitles. Now, these subtitles have been confirmed to be accurate to the Japanese dialogue, unlike some other Sony DVDs. However, some of the dialogue is well, jarring. Lines like “Would you like to have kids?” Now, this is what Tokumitsu is saying to Akane, and she hasn’t even said a word to him. I can’t really believe that’s what he really said, so I interpreted it as Tokumitsu just bumbling around, trying to get a date. There are some other lines like this (well that was the most jarring example) and one can follow this movie, but I am not sure I would want to show a non-fan this version with these subtitles. I can interpret meaning from these subtitles, but I can’t take them literarily, because of what they say at times. In conclusion, this movie has issues with its tone (at the end of the film), the pacing can be off at times, there are some issues with the premise, the main character is hard to care for, and the special effects can be mixed. However, this movie sports some decent acting, a cool premise (despite some issues), a few likeable characters, some decent cinematography and sound design, a truly awesome score and some good special effects even though some of the other special effects can be jarring. In the end, I give this movie a C+. 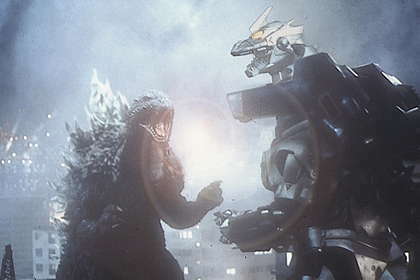 I find Godzilla Against Mechagodzilla to be one of the more forgettable entries in the Goji series. That doesn’t mean it’s a bad movie. No, it’s just trapped in the middle, being neither particularly good or particularly bad. The story is interesting enough. I like the references it made to other Toho movies, forming its own mini-continuity. Kiryu is also a pretty wicked idea. A Mechagodzilla built around the first Godzilla’s skeleton? Sign me up for some of that! There’s a lot of flaws too, however. I LOVE that Kiryu is ‘possessed’ by the original Godzilla. But why have such a major (and badass) problem only occur once? I would have been much happier if a lot more of the film was centered around this issue. Just imagine if Kiryu went rogue during the final battle and Godzilla was left as Japan’s only hope. And speaking of Godzilla, while I think that the film’s design is suitably imposing and threatening, the suit is terribly stiff. It didn’t look like he could even turn his head with that little hood thing he had going on. And what was with the King retreating during his initial confrontation with Kiryu? All he did was take a few missiles to the chest and take off when Kiryu went crazy. Since when does the King of the Monsters retreat? I’ve heard it said that he was just confused by his robotic look-alike, or the spirit of his predecessor in it, but that’s not much better. The Goji I know and love would tear apart anything that confused him. He doesn’t have much of a personality at all really. The action sequences are pretty good, even if they get a little to Power Rangers-esque during some bits. There are some pretty cool visuals too. The first that comes to mind is Godzilla marching ashore with Hell written across his face as a flaming hunk of debris falls in front of him. Posted on September 2, 2011 1 By Jon D. B.	Kaiju Movie Reviews! Posted in Kaiju Movie Reviews!, Toho Movie Reviews! Pingback: Trilobites? Regeneration? Nuclear Scarring? The New Shin-Godzilla Is Weird; And Here’s Why We’re Excited. | SKREEONK!